AfterTheBuilders Ltd. is a company specialised in any kind of painting and decorating services in London. Call us now! 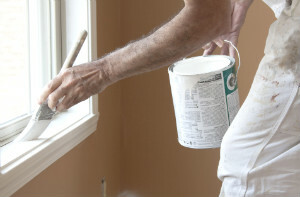 The decorating services we offer can make the rooms in your property perfectly painted. Your walls and ceilings will be painted exactly the way you want them and in the time you expect this work done. Our decorators are supplied with the highest quality paints, painting tools and appliances. They are professionally trained and can do wonderful work. If you hire our decorating specialists they will consult you about the colours in which is suitable to paint your walls and ceilings. You will receive the best professional advices from our decorators. The decorating services we offer are provided in London every day. We want to introduce you our excellent decorating services that will do great job for you if you have decided to take up with the renovations in your home. We can offer our impeccable painting procedures available in London and you will have the opportunity to meet with our workers that will carefully discuss with you all of your requirements and exact needs. 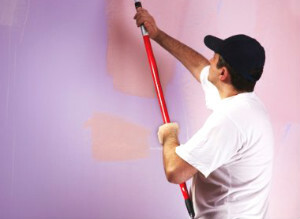 All of your walls will be ideally painted thanks to our commitment to the working process. The prices for all of our decorating services are really moderate so we are encouraging you to book within us right now. The decorating services we offer can make your property’s interior and exterior painted or repainted very professionally. After remove any old paint from the walls and ceilings our decorators will prepare the surfaces for the new paint. All holes, imperfections and roughness in your walls and ceilings will be smoothed and made even. Our decorators will paint the walls and ceilings, without leaving any paint splashes and stains in the rooms. You will receive the most qualitative painting of your wall and ceiling surfaces, which will last long time. Our decorating services are on your disposal every day in London after reserving them.